As usual, Jody Hedlund has woven a terrific tale. She capably turns her research into a realistic story that tugs at your heart. 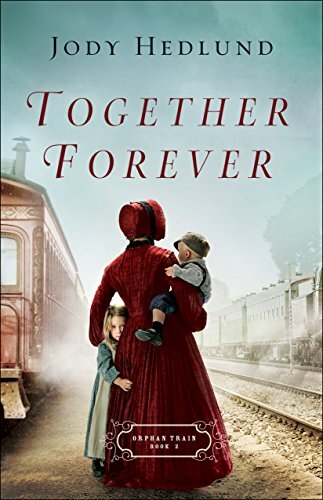 She puts you right in the story through the setting and you feel the plight of the poor orphans who were riding a train out West in hopes of finding a family who could love them. As agents of the Children’s Aid Society, the job of Marianne Neumann and Andrew Brady is to take thirty-one children on a long train journey from New York City to Illinois. Their purpose is to place them out with people who agree to take them. Not only does Marianne desire to find good homes for the orphans. She is looking for her missing sister, Sophie, who she believes has ended up in a town along the train line. Drew is still trying to find his way in the world — out from under the expectations of his father, who wants him to go into the ministry or law. But Drew would rather help children in a different way, much to his father’s disappointment. As they travel together, Drew and Marianne try to fight their growing attraction. Will Marianne find her sister? How can Drew and Marianne bear to part with the children they have come to love? Will they be able to place all the children and will they be going to good homes? This was a very interesting subject, showing the logistics of placing orphans in a hopefully stable environment. It also showed the faith struggles that Drew and Marianne went through in the middle of seemingly insurmountable circumstances that could have crippled them. This book is for fans of historical Christian fiction. It is filled with hope, forgiveness and redemption. Available in paperback, digital ebook, and audiobook! 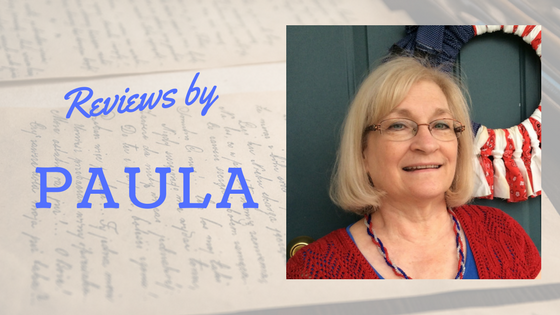 Thanks for reviewing this one, Paula. I'm intrigued by the fascination with this part of history!